My previous travel trip was 3 years ago in Korea 2008 (click Here for more). Therefore, I am quite excited and looking forward to this trip. Generally, the purpose of this trip was to join my friends in Bangkok. This was not my first time to Bangkok and my last visit to BKK was Dec 2005 (Christmas Time). Through some online research, Jetstar allow me to pay slightly cheaper fare compare to other budget airlines. 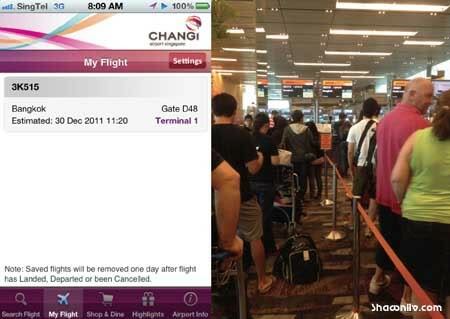 Here my Flight details. Next, I managed to get cheaper hotel rate through http://www.orbitz.com for FX Hotel Makkasan Bangkok. This is one of the highly recommended budget hotels from my best friend. Basically, 5 minutes walk to 7-11, 8 minutes walk to Airport Link Train stations and 3 minutes walk to MRT. 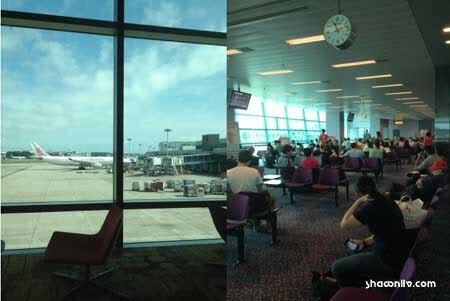 The flight delay for 30 minutes –without any explanation. After the immigration, heading to Suvarnabhumi station: Airport Link, which is located at the ground floor of Suvarnabhumi Intrenational airport. Next, bought a token to Makkasan ARL Station from the machine. About 25 min, reached Makkasan ARL Station. There are a few helpful Makkasan ARL Station officers standing around the station to help tourists for the direction. Thanks to them for the direction to the FX Makkasan hotel. Upon arriving I found myself in a valley of smiles from the very first person I met Ornicha. Within few minutes, she managed to check-in for me. Entering the room, it was simple and clean as well as the bathroom. Next, looking for my friends that waiting at Sukhumvit. 3 minutes walk to Phetchaburi MRT station. Outside Sukhumvit Station. A new shopping mall call Terminal21 ( The concept of terminal). After taking my lunch there and do some window-shopping. Next, my friend brings me for 1-hour leg message near Terminal 21. It cost me only THB 200 + THB 50 Tips. Evening time, we went to the famous Famous Curry Crab @ Somboon, Bangkok. The environment is like a chaotic food hall. Since just 2 of us, we just ordered 3 dishes. 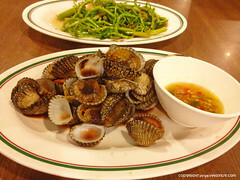 Somboon’s signature dish. The Curry Sauce contained a lot of eggs and was really smooth and flavorful. 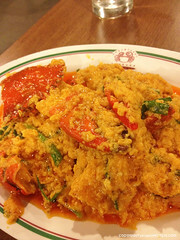 According to CNNGO, Somboon is the Best crab curry in all of Asia. After dinner, go back hotel for some rest. The last place for today was to Hollywood Award Bangkok. Hollywood locates on Rachadapisek Road soi 6 in the area of Ratchada. It is a Huge Thai Style nightclub with live music and dancers and standing room only with tables for patrons. Anywhere, we just told the Taxi Driver “Hollywood” and he replied confidently “ok”.